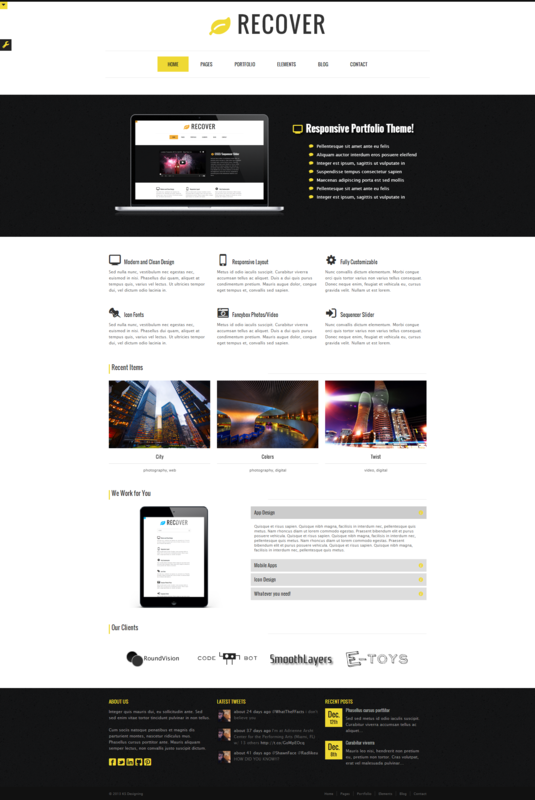 Recover is a responsive HTML theme built using HTML5 and CSS3 and the Skeleton responsive framework. Recover can serve many purposes. It can be used as a portfolio for businesses, artists or designers! Please check out the list of features below.